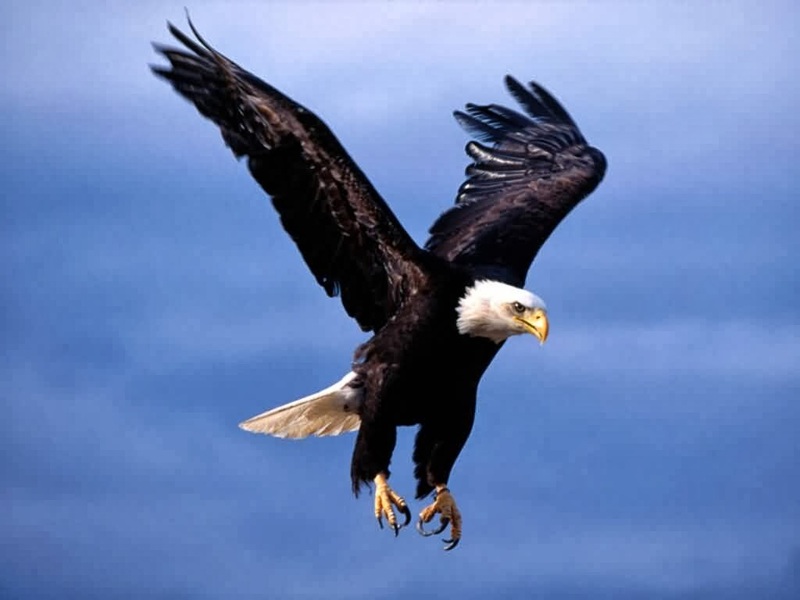 The American Eagle is the popular name of the Bald Eagle, one of the common species in Canada, US and even Mexico. It is a sea eagle originating in the northern area of the continent, but which adapted to the warmer conditions of the south. It is highly adaptable to any condition. The bird needs massive trees for nesting, situated in the vicinity of large water supplies, where food can be found in abundance. He is an opportunistic hunter, with great skills in catching fish and roaches. The American Eagle is brown with a white head and tail. Males and females have the same colors, but they can be identified because the female is larger.